Get in the seasonal and holiday spirit this fall with these healthy breakfast smoothie recipes! 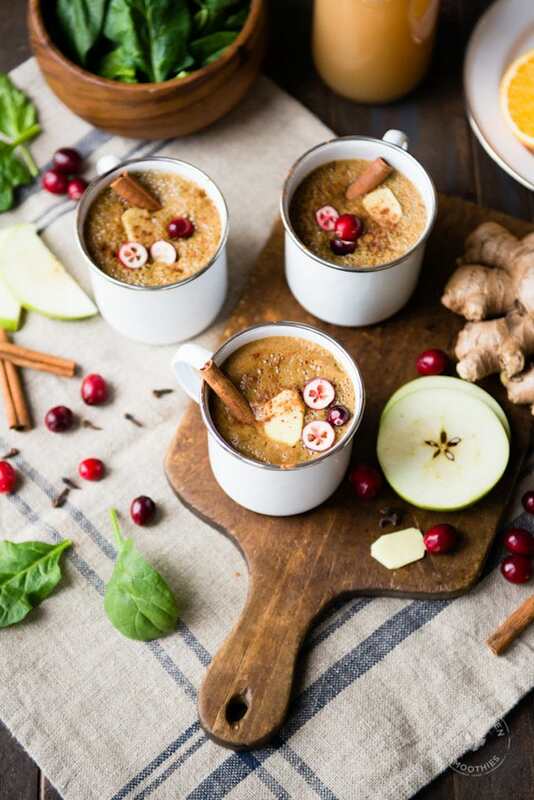 From gingerbread to pumpkin spice, peppermint mocha to hot chocolate, hot mulled cider to apple pie, these healthy smoothies taste like the season in a glass! We all know the drill: kicking off with Halloween, into November with Thanksgiving and then pretty much the entire month of December, the fall and holiday season is filled with sweet temptation. From candy, to breakfast pastries, to every type of holiday cookie imaginable, to rich drinks like hot chocolate and eggnog — a sea of sugar and flour is upon us! 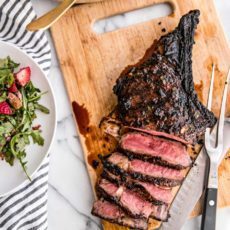 While it’s certainly delightful to indulge occasionally (remember the 80-20 rule? ), it often feels like this time of year is just one big indulgent season. And it can be hard to resist that cookie platter your neighbor dropped off, or the boxes of festive donuts just sitting there, waiting to be eaten at your office meeting. 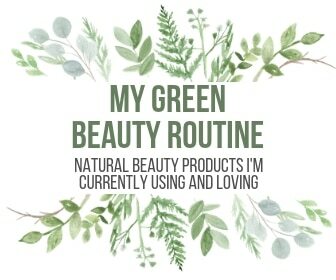 I recently got theVitamix A3500 and am so in love! 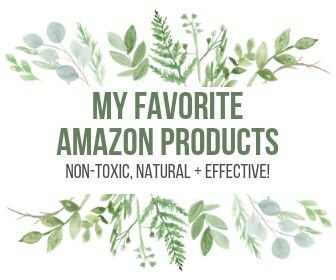 You can buy it on Amazon or also check out their website for sales to buy direct. Be sure to bookmark these festive fall smoothie recipes so the whole family can enjoy! This Vegan Superfood Pumpkin Pie Green Smoothie is perfect for Fall. 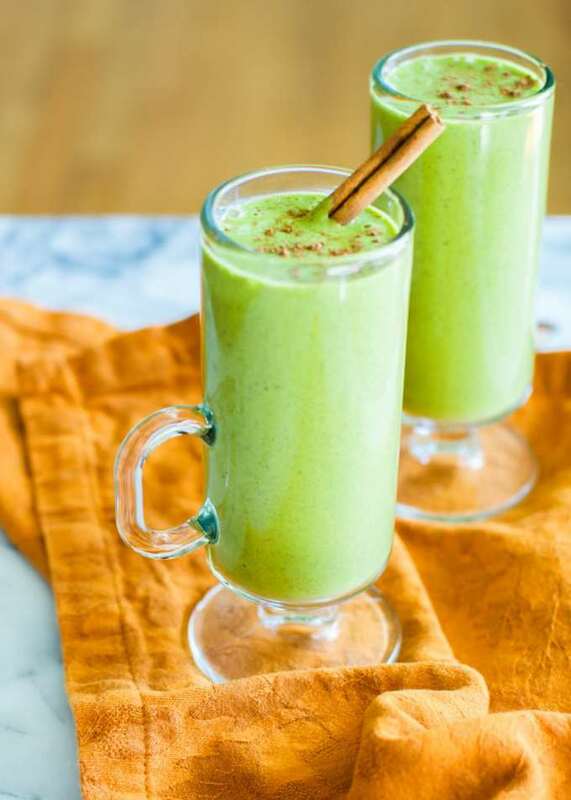 Don’t be scared – although this smoothie is decidedly green in color, I promise it tastes exactly like pumpkin pie, and is full of vitamins and fiber! 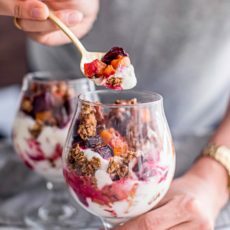 Who says you can’t eat dessert for breakfast? Yes, you can have your seasonal hot cocoa in frozen form with this Peanut Butter Hot Chocolate Smoothie from Beaming Baker! 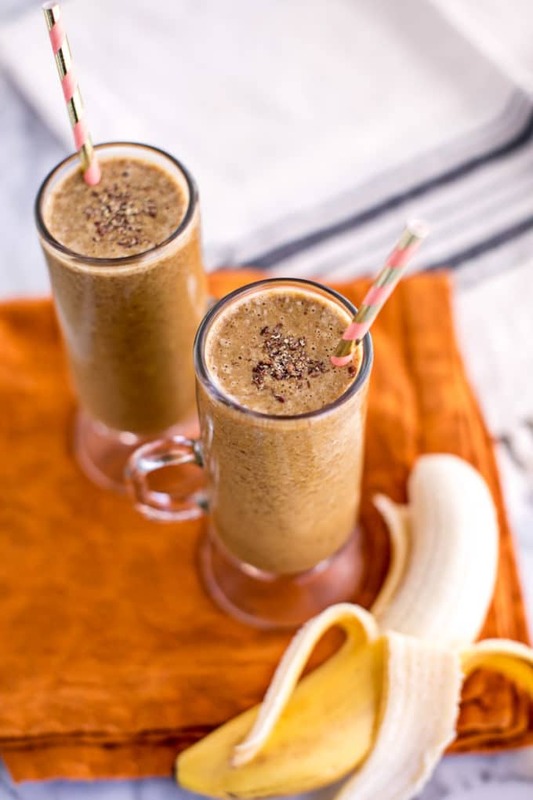 This healthy breakfast smoothie recipe delivers a super thick and creamy protein-packed smoothie that tastes like hot chocolate in peanut butter milkshake form (with no sugar added!). This holiday season, make this Healthy Gingerbread Smoothie recipe – a festive holiday drink that’s vegan, gluten-free, Paleo-friendly and absolutely delicious! Made with molasses, this guilt-free gingerbread healthy breakfast smoothie recipe will put you in the holiday spirit, without any refined sugar. A wassail is a beverage of hot mulled cider, wine or ale, hailing from a Medieval English drinking ritual intended to ensure a good cider apple harvest the following year. In this Warm Wassail Smoothie – yes, WARM! 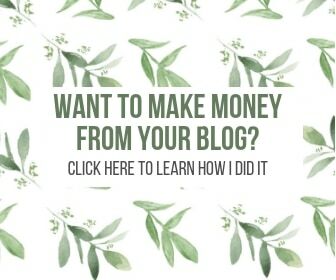 – from Simple Green Smoothies, we get a unique, comforting and healthy breakfast smoothie recipe mixing apples, citrus, and cranberry with spices that tastes like Christmas in a glass. 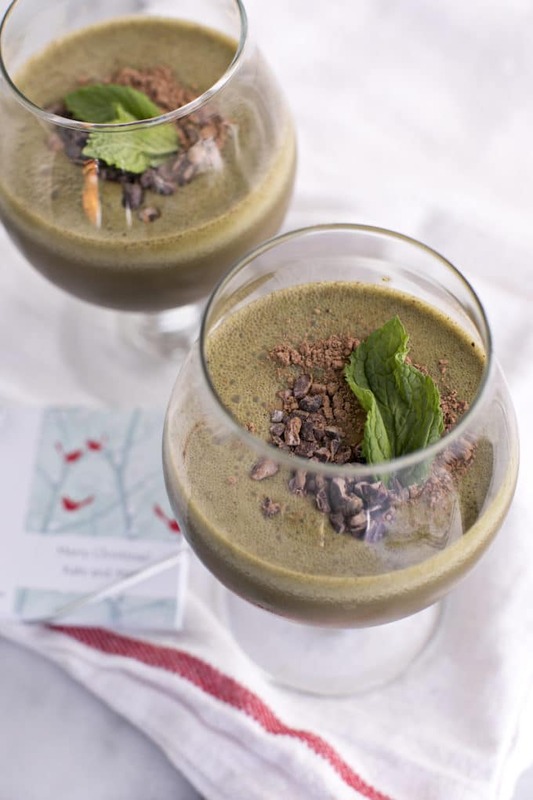 This homemade Skinny Peppermint Mocha Green Smoothie is a healthy copycat version of the iconic Starbucks drink, made without any of the harmful additives and excess sugar. It’s full of classic mint chocolate, creamy coffee flavor, plus tons of vitamins and nutrients to nourish your body through the season. Vegan and gluten-free, too! 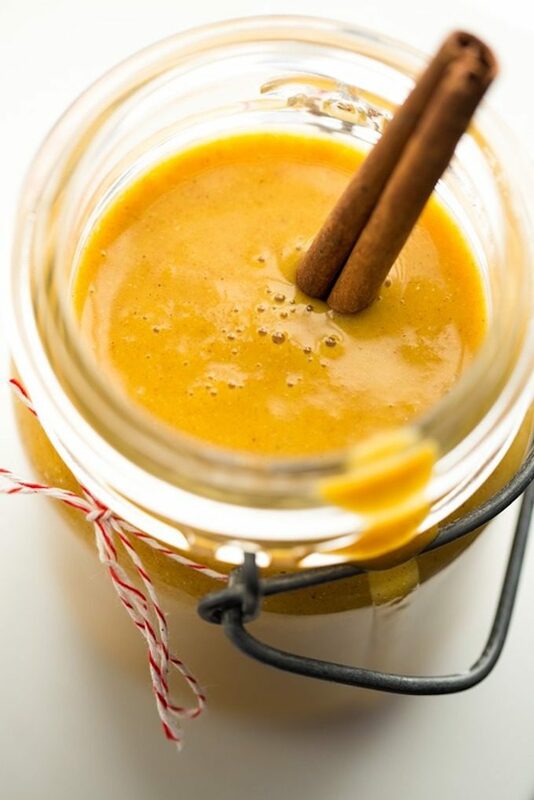 This creamy and downright dreamy Velvety Butternut Cinnamon Date Smoothie from Oh She Glows is the perfect healthy breakfast smoothie to kick off the fall season and make use of roasted butternut squash. This batch makes a generous amount – enough for two glasses to share with a loved one (or one thirsty smoothie maker!). 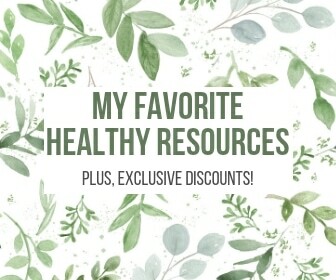 Vegan + Gluten-Free, too! 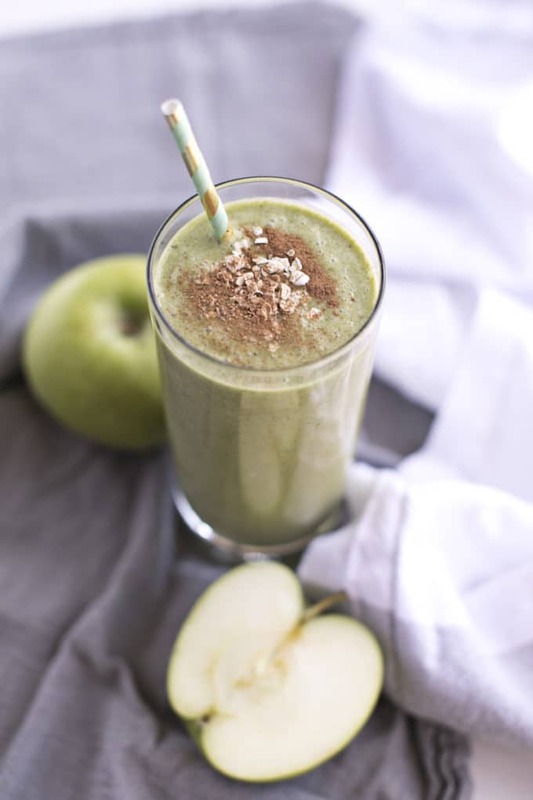 This Vegan Apple Pie Green Protein Smoothie is made with coconut milk, gluten-free oats and plant-based protein. It’s perfect for Fall and tastes just like the classic dessert, but this healthy breakfast smoothie is actually full of Fiber, Vitamin K, Iron, Magnesium, Folic Acid and Potassium! 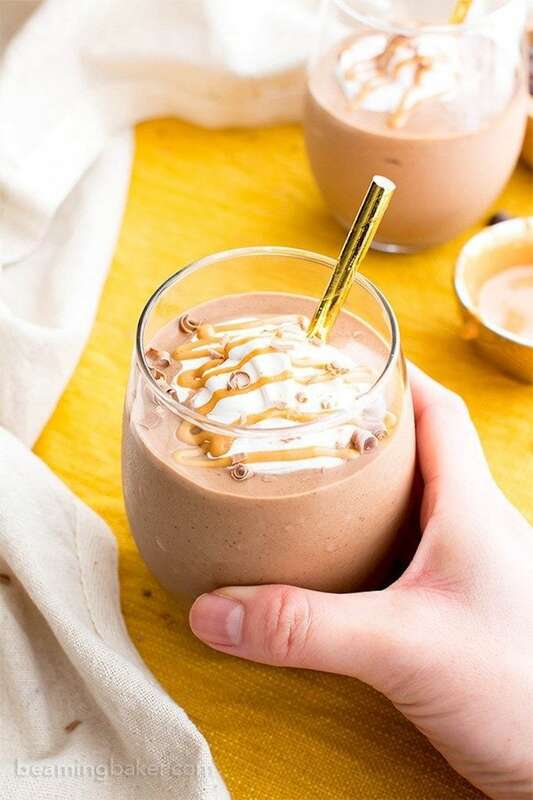 This Salted Caramel Thickshake from Eat Drink Paleo is like dessert in a glass – but without any of the sugar spikes! 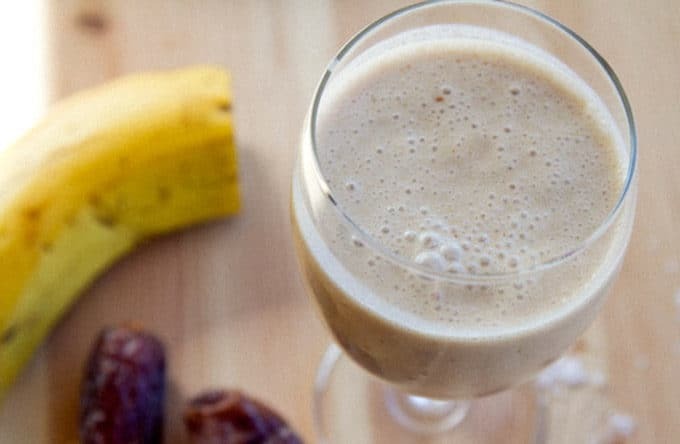 Sweetened with dates and a touch of maple syrup, this thick and healthy breakfast smoothie recipe will satisfy that sweet tooth this season. What’s your favorite healthy breakfast smoothie recipe to make this time of year? Share it in the comments below! These all sound so good! I love breakfast smoothies and that PB hot chocolate smoothie is calling my name! Excellent smoothie ideas. I love gingerbread , this recipe sounds awesome. I will be making some of these soon. Thanks Astrid! Yes, I LOVE the gingerbread recipe! My mouth is watering!! These look soooo delicious!! I love getting to indulge in tasty sweet treats without the sugar overload!